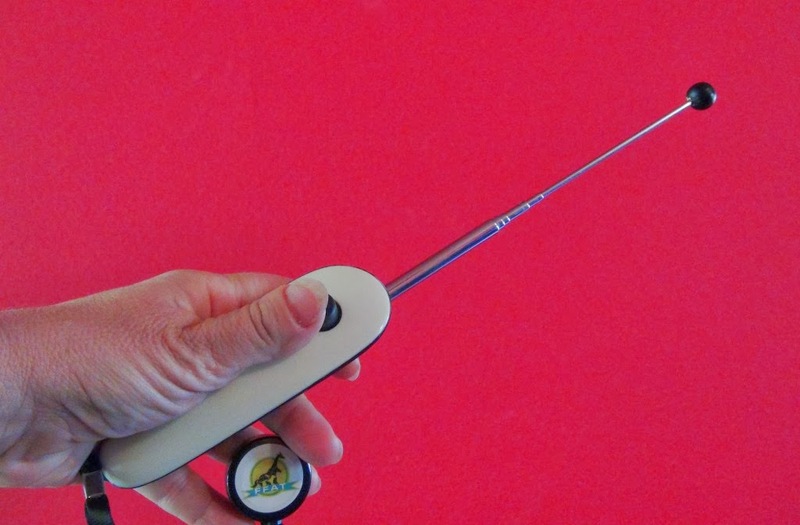 Enrichment Specialist Robin Shewokis and I have been doing a weekly podcast on Pet Life Radio. And we are pleased to hear the response has been great! Even better news is that anyone can listen to the podcast for free. If you listen via itunes you can subscribe and never miss an episode. (just click on the itunes icon under the episode title) We have a ton more topics scheduled to air in upcoming weeks. Here is the list of episodes available now. Click on the titles for links to each. Hope you enjoy them! 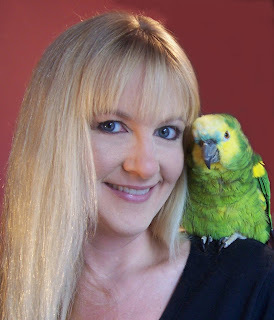 Sid Price is a professional bird trainer, President Elect of the International Association of Avian Trainers and Educators and a regular contributor to online training discussions in the companion parrot community. He and Barbara chat about some of the hot topics in parrot training. In this week’s episode Robin interviews bioacoustic researcher, Michael Schindlinger. Michael is probably best known for his field work with wild Amazons in the creation of the film Stalking the Wild Amazons. Robin and Michael discuss his findings and how they relate to caring for your companion parrot. Michael also shares an exciting ecotourism project that is helping parrots in the wild. Vice President of the Parrot Society of Australia, Shane Hancock gives insights into the differences between aviculture in the United States and Australia. He also shares his efforts to get kids excited about birds via the very innovative “Fledglings” program. Australian bird trainer Nicholas Bishop shares his love of birds and his ground breaking adventure training the highly endangered Spix Macaw for a medical procedure at Al Wabra Wildlife Preservation. So much to talk about…so little time! In this week’s episode Barbara and Robin discuss reinforcers for training and offer numerous suggestions for creating a vast menu of options for your parrot. Meet Einstein! A very articulate parrot who lives in Texas. To clarify….. this is not the Einstein featured on Animal Planet’s Pet Star, but she can give that one a run for her money. This chatty parrot runs through her vocabulary, including phrases such as “What does E=?” “Look at the grackle” and “Who let the dogs out? Who?” Barbara also interviews Einstein’s caregivers Marcia and Jeff to find out how they came to have such a special parrot in their home. Feather Destructive Behavior... Possible Causes and Cures. In this week’s episode Barbara and Robin tackle a widespread issue in the companion parrot community, Feather Destructive Behavior. They review some of the many causes and make suggestions for alleviating this very common behavior. In this week’s episode Barbara and Robin discuss the often lamented challenge of the screaming parrot. Training and enrichment strategies that address this behavior are reviewed. In this week's episode Barbara and Robin discuss choosing an avian vet and ways to build a relationship with that avian professional that will most benefit you and your companion bird. Some training techniques for preparing for the visit are also discussed. My blue fronted Amazon parrot, Tarah, does not have clipped wings. However like many birds that were clipped during the fledging process, he has never quite learned the kind of flight skills that might earn him the title of a “flyer”. I often said “He’s has his flight feathers, but he doesn’t fly.” One day I learned, the hard way, that this wasn’t exactly true. I was visiting my parrots as I was moving from southern California to northern California. When I arrived I brought Tarah in his cage to my old bedroom. I opened the door to the cage to allow my bird some much needed free time. Before I knew it, he bolted off his cage, through the bedroom door, took a right and made his way down the hall. He then banked left and flew through the living room. At that very moment my father was just opening the sliding glass door to step out onto the deck. Guess who went through the door too? The deck was on the second floor, so my bird had two stories of lift to assist him on his grand flight down the fairway of the golf course behind the house. Thank goodness he was a green flying brick. He ran out of gas and slowly descended to the soft green grass before a tree offered its branches as refuge. Juiced by adrenalin, my feet barely touched the ground as I ran after my bird. I have always been very careful about the choices I make having a flighted bird in the house. But I was very surprised by the amazing flight my bird made on that day. Sometimes birds that we think will never fly do indeed fly. Sometimes birds that have flight feathers trimmed surprise us when feathers return. Sometimes experienced flyers get frightened or find themselves in unfamiliar territory. Whatever the situation, there are some strategies that can be very useful to recovering a bird that has flown to a location undesired by you. The following information is provided to prepare you for that day when your bird may find itself airborne and heading in the wrong direction. These strategies apply if you bird has no flight skills or is a world class flying athlete. Despite some parrots bright colors, they can be very difficult to see in trees. Look for movement buried in the trees as opposed to your whole bird perched prominently on the tree. If the bird has just landed. He will probably not fly again (if at all) for awhile. Bring the bird’s favorite person and/or favorite bird friend (in a cage) to the area where your bird is located. Bring favorite food items, familiar food bowls and the bird’s cage if possible. Try to call your bird down when his body language indicates he is ready to try to come down. Do not constantly call. Birds also often relieve themselves and also scream right before they fly. Be alert for this. You may need to see where your bird flys. Be ready to run if necessary. Avoid having a crowd of people around the bird’s favorite person. A scared bird may not want to fly into a crowd of strangers. Give the bird’s favorite person lots of room. The key to getting a bird back is perseverance. Do not accept that you will not get the bird back once you have lost sight of him or her. As a professional bird trainer that free flys many types of birds on a regular basis, I can attest that parrots are often the easiest type of bird to locate and recover. Trust me - nothing is more frustrating than searching for the silent, but observant owl who has buried himself in the bushes and has watched you walk by 100 times! Thankfully our parrots often seek out human or bird companionship if and when they have a big flight adventure. Solving Behavior Problems: Help! My bird is driving me crazy! Parrots can provide us with great joy in our lives. However, at times their behavior seems completely inappropriate for the home. Sometimes these unwanted behaviors can lead to desperate efforts to find a new home for a beloved parrot. While some unwanted behavior may be too difficult to modify without help, many behaviors can be addressed by applying the following simple principles. This is how your bird communicates to you. Notice how your bird holds his feathers, how his eyes appear, what he is doing with his mouth, etc. during different times of the day. Decide by what you see if your bird is comfortable, relaxed, showing a fear response, or aggressive behavior, etc. Try to remember what body postures go with what "state of mind". Use this information when you interact with your bird. Try to avoid doing things that cause your bird to display behavior that indicates he is scared, nervous or aggressive. Focus on interactions that seem to promote a relaxed and comfy bird. For example, if you try to pick up your bird and his body language shows that he might bite, respect what he just told you with his body language and try again later. You can also try to persuade your bird to look forward to stepping up by using a treat or reward. Having a food treat that your bird really likes to use to reward good behavior is an excellent tool for modifying behavior. The treat is your way of communicating to your bird that what he just did was “good”. An easy way to identify a good treat for your bird is to feed your bird his normal diet in the morning. Notice what food item your bird eats first. That is probably his favorite food. Take that item out of the regular morning feeding and use it to reward your bird for good behavior throughout the day. Many parrots also enjoy sunflower seeds, peanuts, nuts, grapes, etc. Make sure to break big items into smaller pieces for more opportunities to reward your bird and to help avoid feeding your bird too many treats. This may seem like common sense, but it is often easily overlooked. Reading your bird’s body language is very important when trying to do this. Recognize when your bird is telling you “no” with his body language. Instead of continuing to force the issue, try to find a way to get your bird to do what you want using positive methods, like using treats and rewards for steps in the right direction. This will help build a positive and trusting relationship between you and your bird. It is easy to react to undesired behavior when we see it. However, this isn’t always an effective way to modify that behavior. For example, if your parrot screams for attention, walking over to his cage to yell at him can actually be the attention your bird was looking for. This can teach your bird to scream to get you to come over to his cage. If instead you wait until the bird stops screaming, or does something else, and then go over to your bird, you will teach him “quiet” or other behaviors will get the desired attention. It may take longer to teach your bird to do something using positive methods, but in the long run both you and your bird will be happier. Instead of forcing your bird to do whatever you would like him to do, break the behavior down into little steps in your mind. After your bird performs each step, give him a treat. Eventually you can get to the desired behavior and the entire process will have been positive and fun for your bird. For example you can teach your bird to step up by rewarding him for taking a step towards your hand, for lifting a foot, for putting a foot on your hand, for putting both feet on your hand, for allowing you to move your hand and so on. By doing this, you can create a bird that looks forward to doing what you ask him to do. Applying these basic principles can help shape your birds behavior. This can lead to a long, happy and harmonious relationship with your bird. Give it a try! 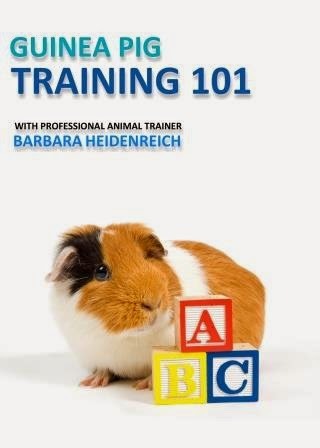 Want more information on solving behavior problems? Try the book “Good Bird! 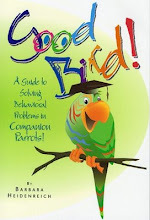 A Guide to Solving Behavior Problems in Companion Parrots” or “The Parrot Problem Solver. 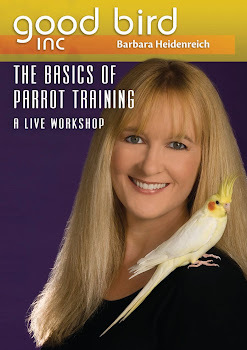 Finding Solutions to Aggressive Behavior” or the new DVD "Understanding Parrot Body Language" by Barbara Heidenreich. Visit http://www.goodbirdinc.com/ to order. Not my usual type of blog, but I do very much like letting the world know that positive reinforcement training is easy to do and that people are having success working with their birds at home. If you have a success story you would like to share, let me know! Your story can be published in Good Bird Magazine and be read by subscribers around the world. Here are the submission guidelines. 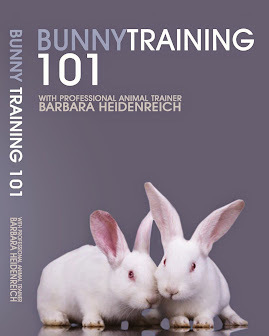 Inspire others by sharing your experiences with positive reinforcement training. The Back Story: Describe some history on your bird and any problems you were trying to address. What You Did: Describe what strategies you used to solve the problems. The Results: Describe what the situation is like now. Recommendations: Provide a few tips you think were important to your success. Avoid the use of abbreviations and symbols such CAG, DYA, LOL, FYI, BTW, &, +, etc. Please spell entire word(s). Good Bird Inc retains the right to edit your story for content, length and accuracy. Copy rights are non exclusive. Stories may be reprinted by the author. A by line indicating story first appeared in Good Bird Magazine with Volume number Issue number and a link to www.goodbirdinc.com is requested for reprints.